These L'Oreal Glam Shine Miss Candy lip glosses are possibly one of the most talked about lip products of 2012 on the blogsphere. I have quite literally seen them everywhere. I bought this one back in April thinking 'Ooh everyone loves these'. It's taken me until now to pluck up the courage to come out and say 'Err, actually, they're a bit pants to be honest'. The packaging is really appealing - who doesn't want icecream-esque swirls sitting in their stash? Its also a fabulous size for slinging into a handbag and carrying around. L'Oreal are usually such a reliable brand that there is mostly no need for testers to come out of there places. I just really can't get my head around the applicator. It's been cited as a 'heart shaped' sponge that covers the lip perfectly whilst leaving product in just the right place to build a fuller pouted look. For starters it is far too flexible and I end up getting product smeared everywhere which leads, because the formula is so gloopy, to a rather big mess. The gloss isn't pigmented enough for my liking either. Don't get me wrong - it leaves a lovely glossy finish but colour? I might as well have bought a clear gloss instead of this 'Bubble Pink' it is supposed to be. I hate to grumble but I feel like I wasted my money with this. I know that there are plenty of bloggers that love these though so maybe, just maybe, you would too. 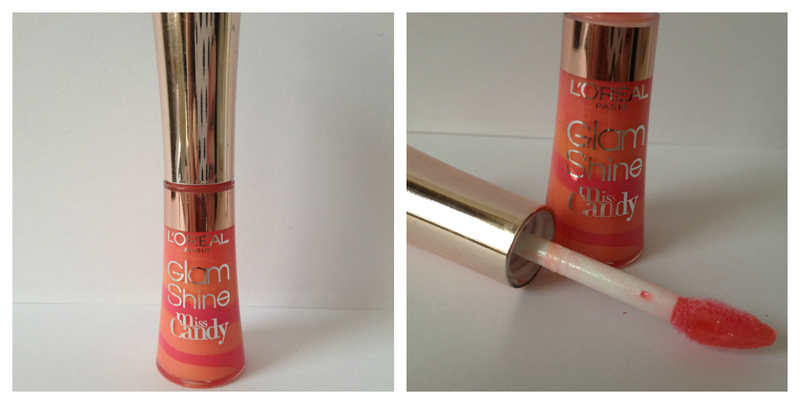 L'Oreal Glam Shine Miss Candy Lip Glosses are available on the majority of L'Oreal stands in drugstores, retailing for around £7- £8 each.